Roberto Giurastante, Triestine born in 1965, is an environmentalist, human rights activist, blogger, and author. From 1994 to 1997 a member of Legambiente Trieste, he is especially involved in the investigative activities concerning waste. He launches and develops the first campaign for the monitoring of illegal landfills in the province of Trieste. From 1997 to 1998 his activities continue in the WWF, dealing with the pollution of Trieste’s Karst. From 1998 to 2007, with the Amici della Terra – Friends of the Earth International he explores further environmental pollution, investigating also the involvement of public bodies in what by then clearly appears as the environmental disaster of Trieste. In 1999 he becomes a national representative of Amici della Terra Italia. He stands against the concreting concreting of the coasts, reporting to judicial authorities the project for the touristic development of the Bay of Sistiana. He is the author of the dossier concerning the risks of the Krsko nuclear power plant published by the Friends of the Earth Europe in 2001. In 2007 he founds Greenaction Transnational and becomes its President, while in 2008 he is among the founders of international environmentalist federation Alpe Adria Green. From 2007 to 2011, in Trieste, he takes care of some of the most important investigations concerning the environment, including these about the unsafety of the industrial plants at risk of a relevant accident (Seveso directive), the projects of LNG terminals in Northern Adriatic, the breaches of the Euratom Directive concerning radiologic emergencies, illegal landfills, hypogeal pollution, pollution in the Gulf of Trieste, and the malfunctioning of the wage treatment plants in the province of Trieste. The reports presented by Roberto Giurastante made possible many interventions of judicial authorities. Among the many, the seizure of the coastal diossine landfill of Barcola (Trieste), in the middle of a bathing area. With respect to the European Union, the petitions and complaints presented by Roberto Giurastante resulted in infringement proceedings agains Italy for failing to comply with the Community Law on the matters of disposal of waste, sewage treatment, the lack of prevention in case of radiologic accidents (again, with respect to the Krsko nuclear power plant), for failing to comply with the Seveso directive, air quality (Transboundary Air Pollution). Thanks to the complaints on radiologic emergencies presented to the European Commission by Roberto Giurastante, in 2010 the external emergency plan of the nuclear port of Trieste was declassified and made available to the public. In November 2011 he is one of the founders of Trieste Libera – Svobodni Trst – Freies Triest – Free Trieste (LINK), becoming its President in January 2014: the Movement that Stands for the re-establishment of legality in the present-day Free Territory of Trieste, a sovereign State established in 1947 with the Treaty of Peace with Italy, under the direct protection of the United Nations and currently under a provisional regime of Government. He is the author of investigative book “Tracce di legalità” published in 2010 and to be published in English with title “Tracks of Legality”. The book describes the researches and investigations that revealed the environmental disaster of Trieste and the system of Government that has allowed it. 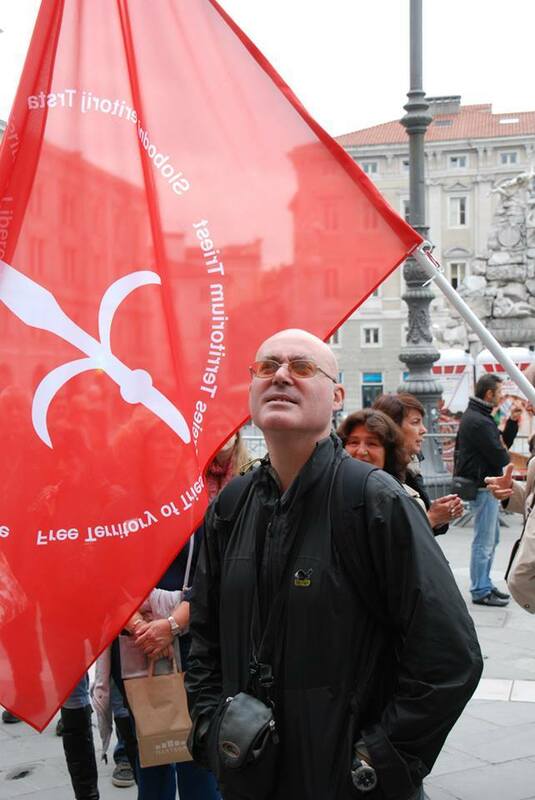 As blogger, he writes on “Ambiente e Legalità” one of the main and most read sources of information about the question of the Free Territory of Trieste, a constantly updated English translation is published as “Environment and Legality”. Since September 2015, he is the Director of the Department of Civil, Political, Economic, Cultural and Environmental Rights of the newly established International Provisional Representative of the Free Territory of Trieste, the IPR FTT (LINK).